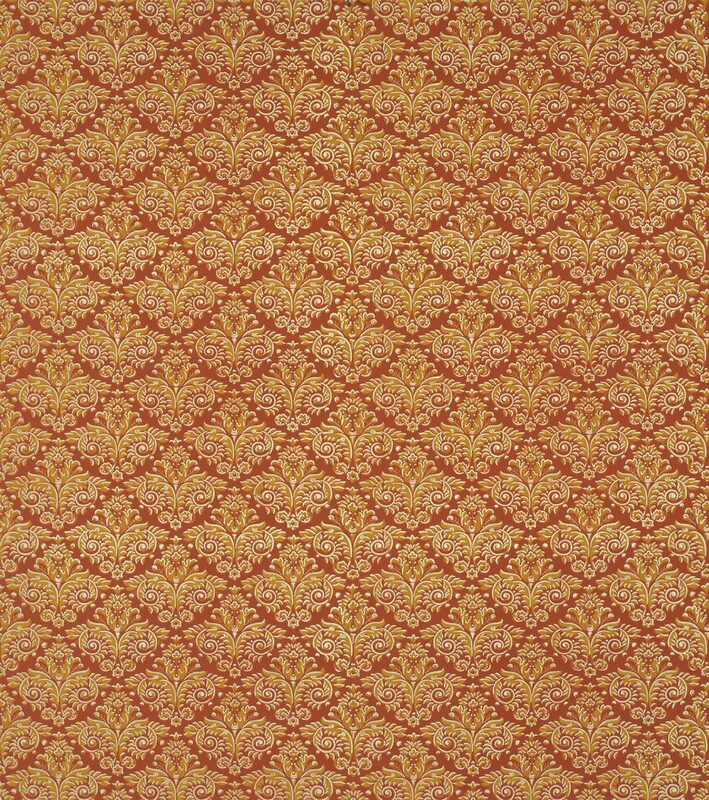 This pattern is licensed to Adelphi Paper Hangings by the Sir John Soane’s Museum and was commissioned by them. An entire wall of this diaper pattern was uncovered beneath layers of paint during the initial stages of renovating Sir John Soane’s private apartment, at 13 Lincoln’s Inn Fields in London. While there was more than enough evidence to determine the structure of the delicate design the colors had understandably not fared as well. 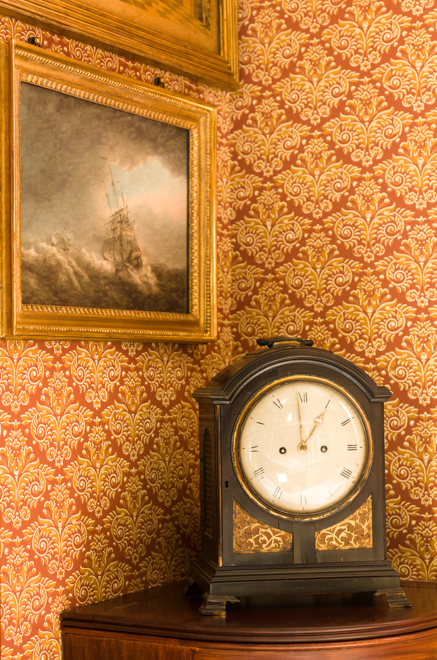 When reproducing wallpapers, we are usually lucky if we find an overlap or a bit of paint loss to get a sense of the pattern’s true colors. However, in this case the 19th century manufacturer Cowtan kept records of all sales with names, addresses, and a cutting for each order. These log books are preserved at the Victoria and Albert Museum and the clippings, including those from the sale to Sir John Soane, have never been exposed to long periods of light and are in pristine condition. Though the general pattern repeat is the height of only one diamond motif it is best to install this using the larger block repeat, that of three diamonds, to assure details of the highlights align correctly. Imperial Measurements: Repeat 17 ⅜ in, width 20 ⅞ in, length 11 yards, straight match. Metric Measurements: 44 cm, 53 cm, 10 m.